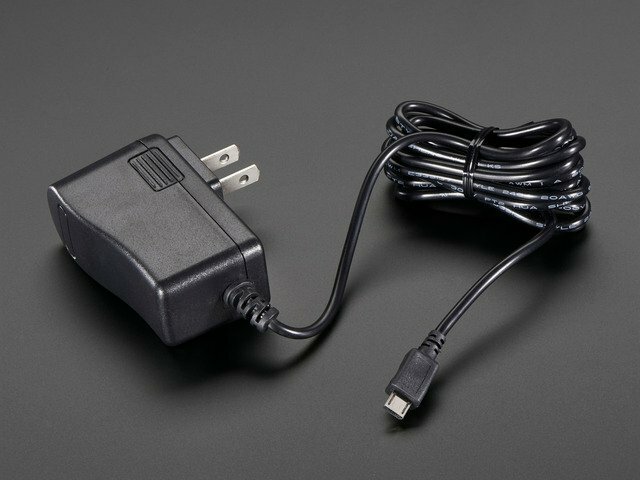 For many people, the PowerBoost 500C can be used with just the microUSB charge input, battery plug and power outputs. However, we have a couple handy breakouts so lets get started! 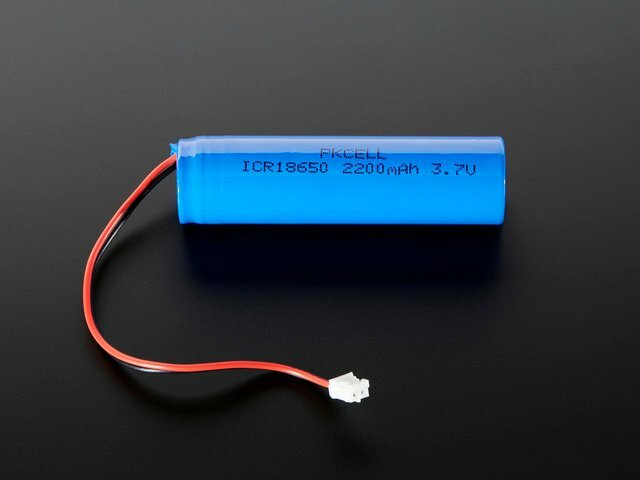 BAT - this is the battery input, connected directly to the JST connector. 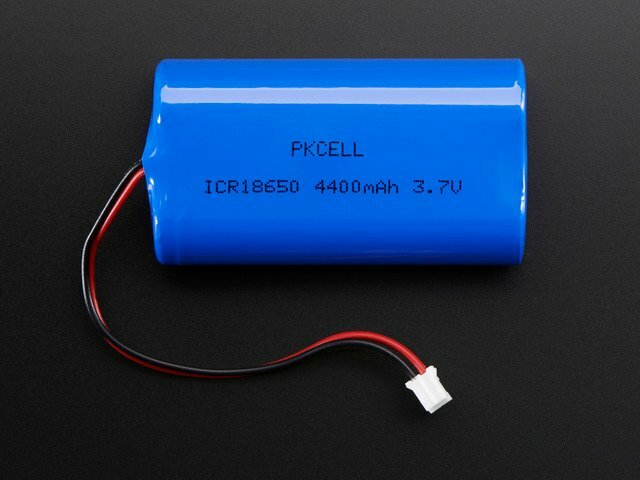 For most Lithium batteries, this will range from 3.0V when near-dead to 4.2V when fully-charged. Higher voltages will let you draw more current and in general, are more efficient. Try to keep the wires going to this pin nice and short - 3" or less is best! VS - this is the load shared output from the battery charger. When there is 5V coming in from the micro-B USB power plug, this pin will have approx 5V on it (less a little due to the internal resistance of the charger chip's MOSFET). 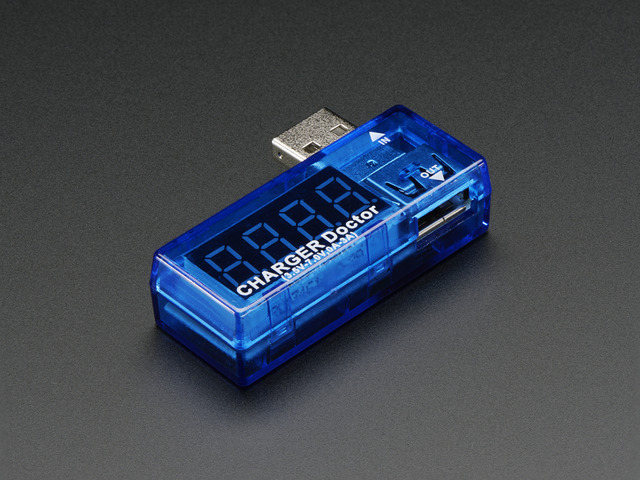 When there's no USB charging, the Vs pin will be the same voltage as the Bat pin. EN - this is the 'enable' pin. By default it is pulled 'high' to VS. To turn off the booster, connect this pin to ground. The switch can be as small as you like, it is just a signal. Contrast this to an inline power switch which would have to be able to handle up to 2A of current! When the chip is disabled the output is completely disconnected from the input. LBO - not a leveraged buy out! this is the Low Battery Output. 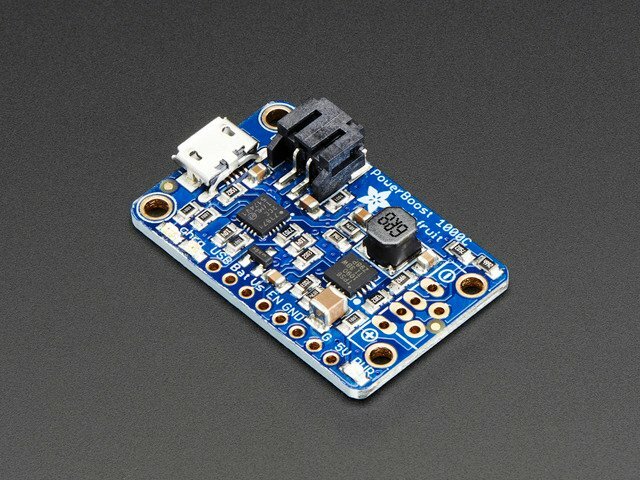 By default it is pulled high to BAT but when the charger detects a low voltage (under 3.2V) the pin will drop down to 0V. 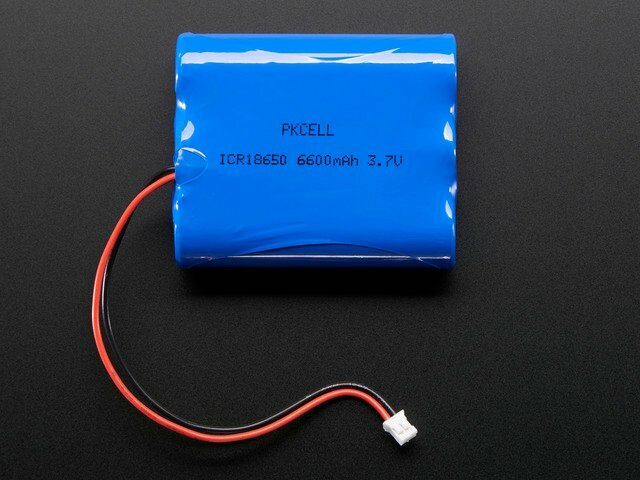 You can use this to signal when its time to shut down or alert the user that the battery is low. There is also a red LED connected to this pin. Please note - you cannot connect these together to 'auto shut off' when the battery is low. There are four onboard LEDs. The Blue LED sits next to the USB connector socket, and indicates the 5V output power state. 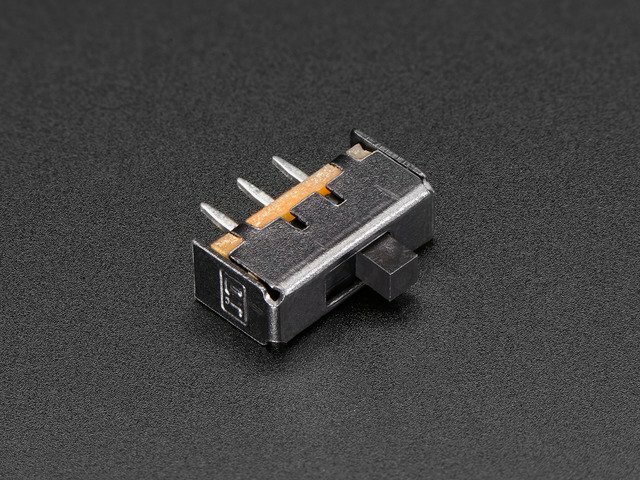 You can connect a battery to the breakout strip or to the JST connector. All of Adafruit batteries come with JST cables that will plug in nicely so we strongly suggest that. Watch the polarity of the cable! The USB connector can be soldered on to create a portable 'USB power pack'. The two data lines on USB have resistor dividers that match Apple charger values for 1A charge rate so that you can plug any iOS device in to charge. 99% of other phones, devices and tables are totally cool with these resistors as well. You can always short the D+ and D- lines if you happen to have a phone that wants shorted data lines. Some third-party LiPo cells have JST connectors wired opposite from the standard. Connecting these to the PowerBoost will damage your PowerBoost. Double check the polarity before connecting. This guide was first published on Apr 21, 2015. It was last updated on Apr 21, 2015. This page (Pinouts) was last updated on Apr 23, 2019.